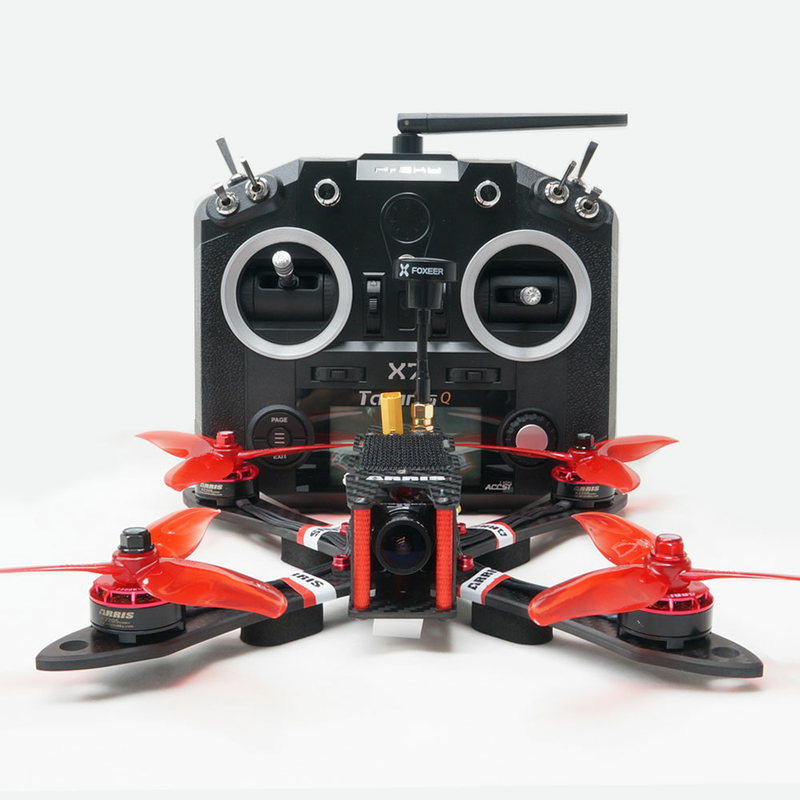 ARRIS X220 V2 220mm FPV racig drone RTF is fully assembled and tuned, it is ready to fly. It is one of the best racing quad for freestyling. ARRIS X220 RTF comes with ARRIS X2205 2300kv high quality brushless motor,Flycolor Raptor S-Tower BHeli-S 2-4S 4-in-1 30A ESC + F4 + PDB + OSD board,Dalprop T5045C high efficiency propeller,Foxeer ARROW Mini pro fpv camera,5.8G 48CH long range mini video TX,Frsky QX7 radio with receiver and 4S 1500mah 50C lipo battery. Before leaving the factory, the RTF is tuned and tested by the technician. There are three flight mode on the radio: Attitude Mode (Self-level mode), Acro Mode(Manual Mode) and Air Mode. The picture below is what we set on Frsky Q X7 radio.